A gastroscope (like an endoscope) is a long (3 meter) camera used to diagnose equine gastric ulcer syndrome. Gastric ulcers are very common especially in the equine athlete. Many horses are affected yet show no or little clinic signs of this painful disorder. The gold standard for diagnosing equine gastric ulcers is gastroscopy. 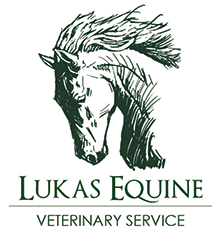 Lukas Equine is equipped with a portable on-site gastroscope as needed for your horse. Is your horse in need of a gastroscopy? Please contact us today to schedule your appointment!